California is the sixth richest economy in the world. 60% of California, home to the Silicon Valley, voted for Hillary Clinton but Donald Trump is their President now. Faced with the prospect of living in Trump Country, many Californians are discussing secession. 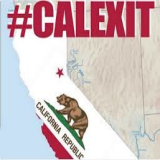 The "Yes California" campaign wants a constitutional exit of the state from the US. Knappily explores if it is needed, and if it is possible. What has triggered the demand for Calexit? 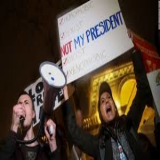 In spite of President-elect Donald Trump’s conciliatory overtures after winning the election, the #notmypresident movement continues to grow. The protests are especially poignant in California where 61% of voters chose Hillary Clinton. While voters in rural, conservative areas overwhelmingly backed Trump for president, liberal communities on the West Coast went hard for Clinton. Faced with the prospect of Trump victory, California saw the highest Democratic turnout for a presidential nominee since President Franklin D. Roosevelt won re-election in 1936. They did what they could, but their best was not enough to impact the national result. Trump won. The ‘Golden State’ now wants to become the Golden Nation through an independence referendum they want to get organized in 2019. Encouraged by California’s strong economy and high population, the so-called “Calexit” could gain traction following the election of Donald Trump. In fact, the supporters of Calexit are using this result opportunistically to revive their old demand. 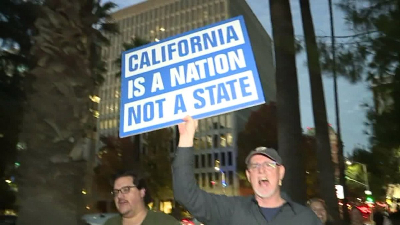 The Yes California Independence Campaign believes that “being a US state is no longer serving California’s best interests” and thinks that California would be better suited making its own immigration laws. Though there have been such demands - which eventually fade away - from other states too (such as Texas’ demand for Texit), California’s potential Calexit has something unique: money. As the sixth largest economy in the world, it is the economic engine of the nation and provides a large percentage of the federal budget. 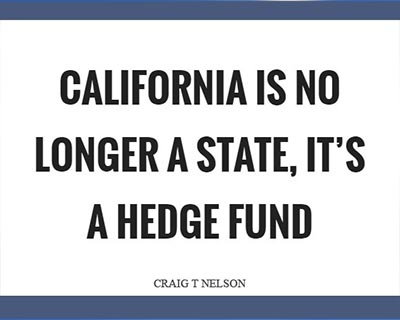 Simply put, California carries a lot of financial weight. The Yes California movement still has a way to go, however. President Louis Marinelli has tried to get the referendum on the ballot in the past, but has yet to reach the 400,000 signatures needed to appear on the ballot. However, Marinelli is looking to try again and get an initiative on the ballot in 2018 when Californians choose their governor for a referendum in 2019. California isn’t the only state that will now grapple with the legality of an ‘exit’ – Oregon too is making a similar demand. Why is the movement getting support? Nearly 6,000 Californians were on the streets in an anti-Trump protest yesterday. It is not the first time California has protested against Trump. In April this year, when Trump seemed set to become the nominee of the Republican Party, hundreds of protestors tried their best to prevent him from speaking. Trump had to use a backdoor to address his rally. He said he felt like he was crossing a border. The broader west coast is a stronghold for the Democrats, and significantly more politically progressive and racially diverse than large swathes of central US. California’s gross state product (GDP) was $2.496tn for 2015, according to the IMF. It knows its indispensability to the US economy. 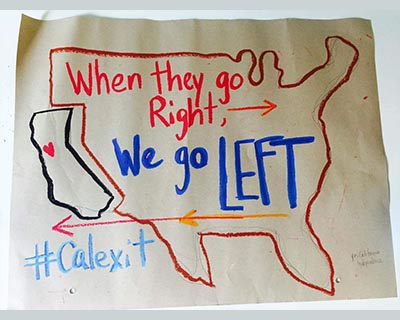 The campaign for independence – variously dubbed Calexit, Califrexit and Caleavefornia – has been regarded as a fringe movement. But support was revitalized by influential Uber investor and Hyperloop co-founder Shervin Pishevar, in a series of tweets announcing his plans to fund a “legitimate campaign for California to become its own nation” – posted even before the full results were in. The proposal illustrates the technology industry’s frustration with Trump over his repeated criticisms of Silicon Valley companies. The Republican leader wants Apple to stop making phones in China, thinks Jeff Bezos bought the Washington Post to exert political power and avoid paying taxes, and claimed that Mark Zuckerberg’s push for immigration would decrease opportunities for American women and minorities. When has this happened before? Mexico had reluctantly ceded California and much of its northern territory to the United States in the 1848 Treaty of Guadalupe Hidalgo. When the Mexican diplomats signed the treaty, they did not mourn the loss because California was a region of “sleepy mission towns” with a tiny population of about 7,300. 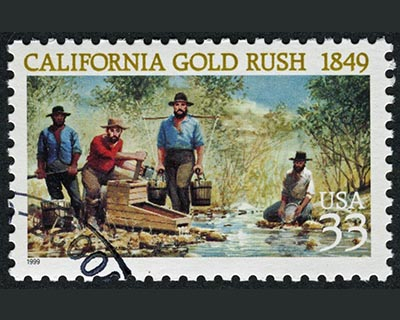 The move could not have been more poorly timed.Gold was discovered at Sutter’s Mill in Coloma, California, nine days before they signed the peace treaty. Suddenly, the greatest gold rush in history was on. More than 60,000 people from around the globe came to California in 1849 alone. They were called the forty-niners. 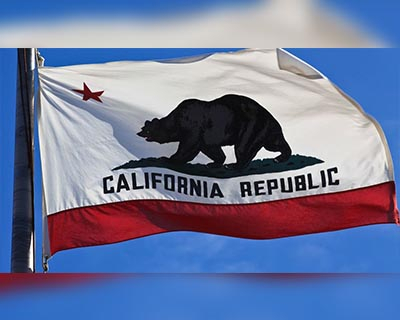 Congress finally accepted California as a free-labor state under the Compromise of 1850, beginning the state’s long reign as the most powerful economic and political force in the far West. Where is the rationale behind the Yes California campaign? Trade and Regulation: The U.S. Government maintains a burdensome trade system that hurts California’s economy by making trade more difficult and more expensive for California’s businesses. Debt and Taxes: Since 1987, California has been subsidizing the other states at a loss of tens and sometimes hundreds of billions of dollars in a single fiscal year. Immigration: US immigration system has neglected the needs of the California economy and has hurt too many California families. Independence means California will be able to decide what immigration policies make sense. Natural Resources: Certain minerals and other natural resources like coal, oil, and natural gas are being extracted from California at below market value rates by private corporations with the permission of the U.S. Government. 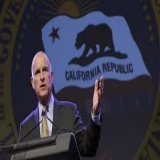 Environment: California is a global leader on environmental issues. However, as long as the other states continue debating whether or not climate change is real, they will continue holding up real efforts to reduce carbon emissions. Health and Medicine: The Affordable Care Act (Obamacare) was enacted by the U.S. Government to lower the cost of health care and expand health insurance coverage to the uninsured, yet millions of Californians still lack access to quality health care because they can’t afford it. Education: California has some of the best universities but in various ways, their schools are among the worst in the country. Independence means they will be able to fully fund public education, rebuild and modernize public schools, and pay public school teachers the salaries they deserve. Aside from having a catchy hashtag (and the associated ‘likes’ and ‘shares’), there is little that the movement can do to take California, home to 11.6% of the US population out of the federation. Leaving the United States requires two-thirds approval from the House and Senate, as well as the backing of least 38 state legislatures. YesCalifornia says there is a legal path leading to its exit: first a measure on the 2018 ballot would need the approval of California voters. 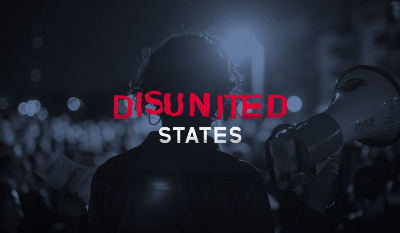 Then, movement organizers envision seeking the consent of the other states, a move they believe is laid out in Texas v. White, an 1869 Supreme Court case. Since YesCalifornia explicitly bills itself as a “nonviolent campaign,” that means revolution is out of the picture. Even if California decides (and that is a big IF) it is a good idea, the rest of the country isn’t likely to be too pleased about losing access to California’s economy. Note: Texas v. White was a significant case argued before the US Supreme Court in 1869. The case involved a claim by the Reconstruction government of Texas that United States bonds owned by Texas since 1850 had been illegally sold by the Confederate state legislature during the American Civil War. In deciding the merits of the bond issue, the court further held that the Constitution did not permit states to unilaterally secede from the United States. Even politically speaking, the movement has a very slim change of retaining the current momentum. For one, Donald Trump has been talking like a liberal ever since he has been elected President. 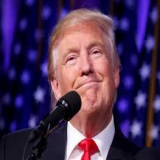 He has said prosecuting Hillary Clinton (which he kept calling for during his campaign) will not be his ‘first priority” and he would retain the good parts of Obama’s policies. The US authorities will most likely stifle any such movement before it picks up its head significantly and it will be met by disregard by both the Democrats and Republicans. How would this work, even if it did? The U.S. Constitution contains rules for how a state may enter the union but doesn't have explicit instructions on how to leave. According to Article IV, "New States may be admitted by the Congress into this Union; but no new State shall be formed or erected within the Jurisdiction of any other State; nor any State be formed by the Junction of two or more States, or Parts of States, without the Consent of the Legislatures of the States concerned as well as of the Congress." It has been close to 150 years since the Supreme Court considered the issue in 1868's Texas v. White. There the court held that the U.S. is "an indestructible union." 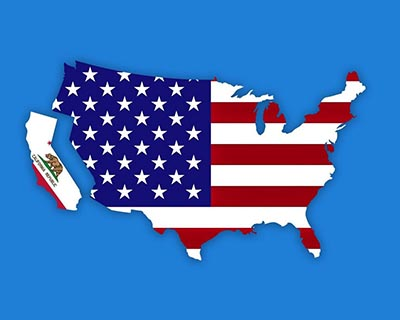 If voters were to support a Calexit, then a California lawmaker would have to propose a constitutional amendment.Under Article V, changing the Constitution requires a two-thirds vote from the U.S. House of Representatives and Senate. It seems close to impossible that California would separate from the US. But, then, that is what they said of the chances of Britain exiting the European Union and Donald Trump becoming President.